Ash Keating’s artwork on the VAC facade. Is it a landscape, is it a colour scheme, is it art? Often that’s for the beholder to determine, but for Melbourne-based artist Ash Keating, if his work draws you in, it’s a success. Artist Ash Keating speaks at the Façade Project launch. “For me, I want to create work that is meditative and that draws people in,” he said at the launch of his winning Façade Project entry at the La Trobe Visual Arts Centre. The VAC is once again dividing opinion with Keating’s work. The much-anticipated Facade Project has done just that since it launched in 2011. Every two years the La Trobe building changes face, with one lucky artist given the city’s most prominent canvas; the entire width of the gallery’s inner-city facade. 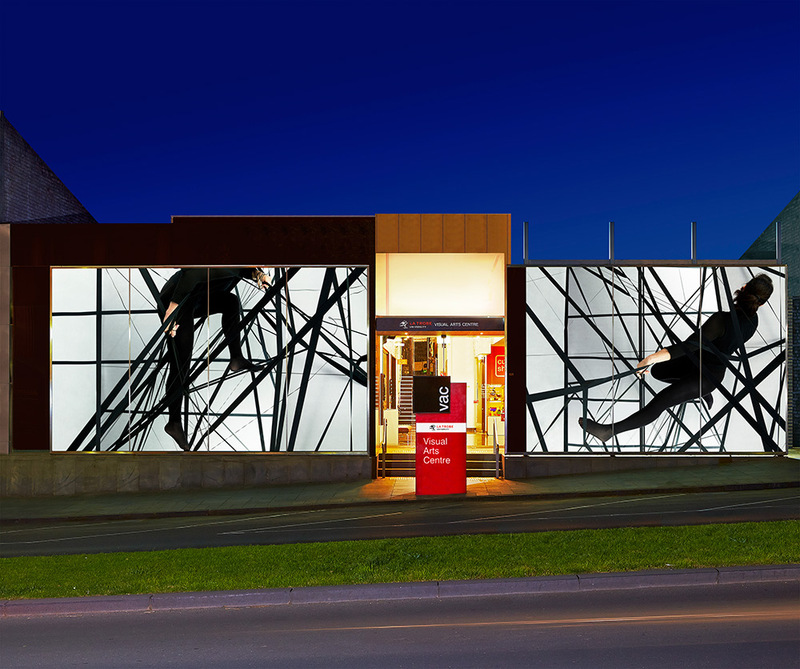 Mid-career Melbourne artist Keating’s winning work was unveiled along View Street on Friday. VAC Managing Curator Paul Northam said the 14-metre wide by four-metre high facade was a significant feature of the streetscape and Bendigo’s arts precinct. He said as such, the winning work was always a hot topic in the community. “OuterSpace by Julie Rrap, winner of the 2013-15 Facade Project, has been the topic of much discussion throughout the last two years,” Paul said. OuterSpace by Julie Rrap was the 2013-2015 facade. Keating’s work, Gravity System Response #1 (diptych), is taken from a fuchsia-coloured painting, completed in January this year. The artist is represented in many major public and corporate collections including the National Gallery of Victoria, National Gallery of Australia, Monash University Museum of Art, La Trobe University Collection, and the Ballarat Art Gallery. 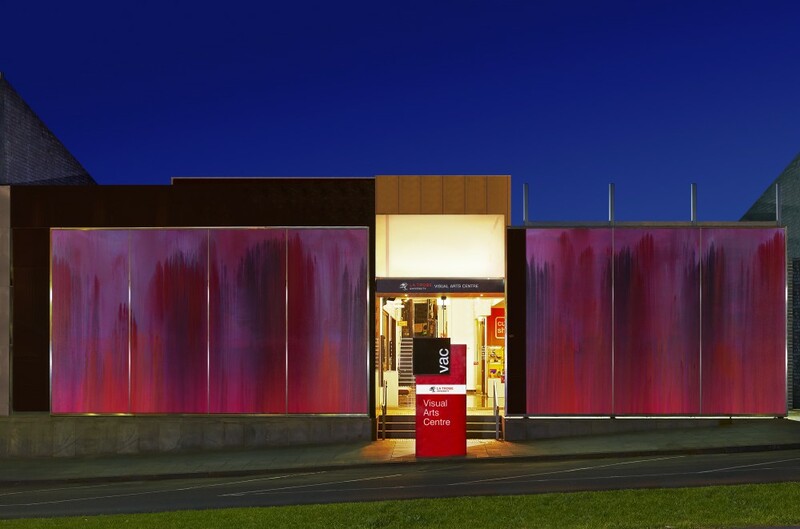 Selected solo exhibitions include MONA, Blackartprojects and Benalla Art Gallery. He says the city, and the La Trobe gallery, had done a lot to educate the public on contemporary art over the past decade. 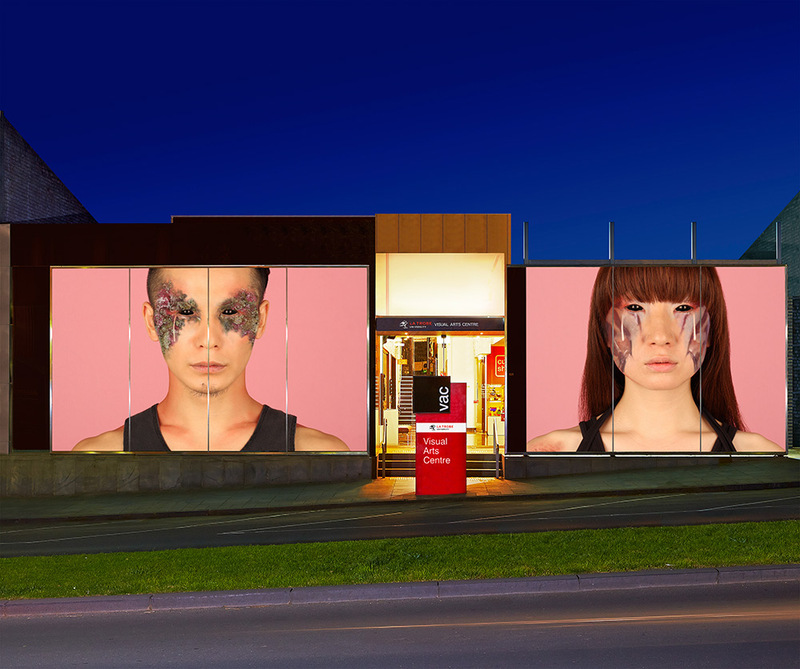 Owen Leong’s artwork, Tidal Skin, adorned View Street in 2012. 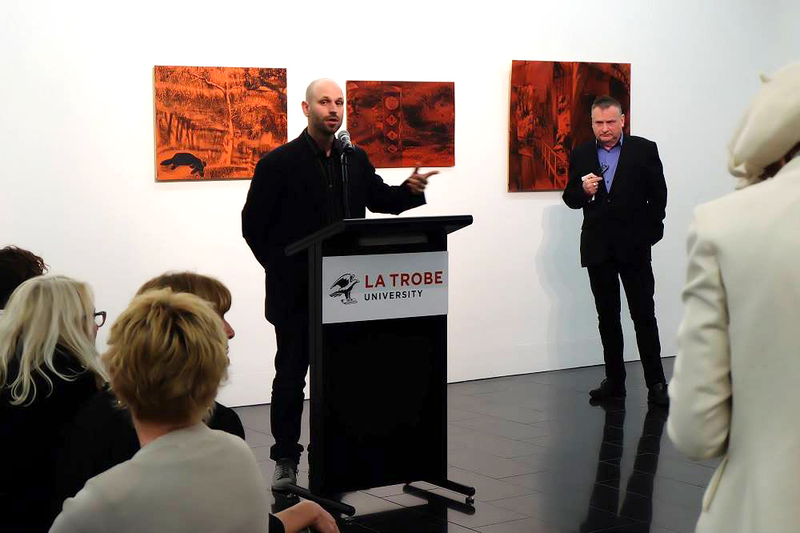 City of Greater Bendigo Mayor Peter Cox, Head of Bendigo Campus Robert Stephenson and La Trobe Art Institute director Dr Neil Fettling joined Paul Northam in launching the new work to the community.